SALT LAKE CITY, UT -- The Republican presidential debate scheduled for Monday in Salt Lake City has been canceled after front runner Donald Trump and John Kasich said they would not attend. Karen Boe, a spokeswoman for the Salt Palace Convention Center, said they were informed Wednesday morning that the event was being scrapped. Donald Trump said Wednesday morning he would not participate because "we've had enough debates." Trump said Wednesday on Fox News that he's committed to a big speech the same night. Ohio Gov. 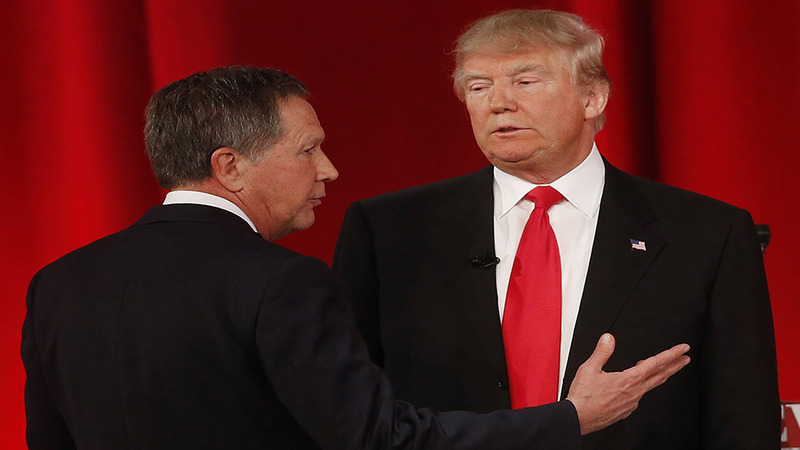 John Kasich's spokesman then said he won't debate without Donald Trump onstage. The debate was scheduled a day before Utah's caucus and Arizona's primary. It would have been the first presidential debate held in Utah.